IMAC Tecnologie is an established Italian engineering company, and for over twenty years has been working in the field of machine tools. 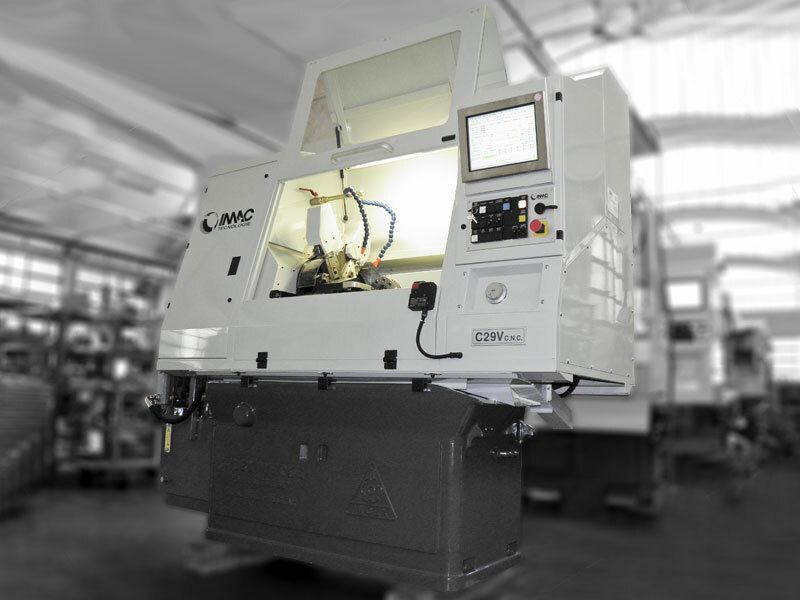 The production site is located in Muggio near Milan.IMAC manufacture new generation CNC lathes for bar machining. The intuitive electronics and hydraulics as well as a very strong machine structure with high stiffness allows multi process simultaneous machining, this helps to increase the CNC machines production capacity. The entire range of CNC machines are equipped with linear transducers supplied by Newall Measurement Systems. IMAC Tecnologie also offers customized solutions; they independently design, develop and implement all the mechanics, electronics and management of hydraulic actuators that make the machines follow very carefully the specific needs of the customer. IMAC’s basic range of machines falls into fixed headstock, mono-spindle and dual-spindle. When IMAC asked Newall Measurement Systems to offer a solution to their measuring needs, the UK encoder manufacturer were pleased to help them. Previously IMAC had used glass scale encoders and metal tape encoders but these technologies were not capable of coping with vibration, shock and coolant. As a result of Newall visiting IMAC and IMAC visiting Newall’s manufacturing factory in Leicester England, IMAC chose Newall’s SHG and MHG encoders for their entire range. The main reason for IMAC’s choice of SHG and MHG were down to Newall’s unique linear encoders, optical types of encoders were just not strong enough to cope with the harsh environment but also to solve previous problems of reliability, precision and quality. IMAC insist on these qualities to keep their machine tools at the forefront in their field. IMAC’s appetite for excellence and absolute attention to detail aided Newall in improving aspects of the SHG and the MHG encoders.